This past spring I had an amazing opportunity to get one of my picture books potentially published by one of ‘the big five’. I was over the moon with excitement! FINALLY - after almost fifteen years of hard work and sacrifice, I was getting my work into the hands of amazing editors and decision makers. I was planning on a deal by Christmas and dreaming about seeing my book in stores. I have had several books published in the past by some lovely indie and trade publishers, but they have been exclusively available online and in small retail shops. I felt like this time, I was surely going to see my work in New York City’s Union Square Barnes & Noble; or better yet - Books of Wonder on 18th Street! Long story short, the opportunity fell through. I was left with an overwhelming feeling of disappointment and despair. How many MORE times will things not work out? How many more rejections will enter my life? How can I keep doing this to myself, not to mention all my family members that have had to suffer through my emotions too! Authors and illustrators reading this - I’m just being honest and I know you can relate. After a few weeks of muddling through true depression, I realized all the hard work I had done for months developing ideas and artwork should not disappear in vain. I reworked the story and characters and posted a simple question to my social media audience asking if they’d be interested in my idea, and I got a resounding answer - YES! I decided, as I have done a few times in the past, to self publish my story. I started to post questions on Facebook and Instagram, gaining key insights from my audience on what art styles and characters they liked most. I felt a great momentum building, and it was enough to push me into a 40 hour a week work cycle to complete the story. I created a dummy book, character sketches, photographed hundreds of miniature props and worked in Photoshop until my fingers were numb. When I received the first proof from CreateSpace, I was disappointed to see half the book just didn’t look right, so I dedicated two more weeks to finishing and redoing all the handwritten text again. 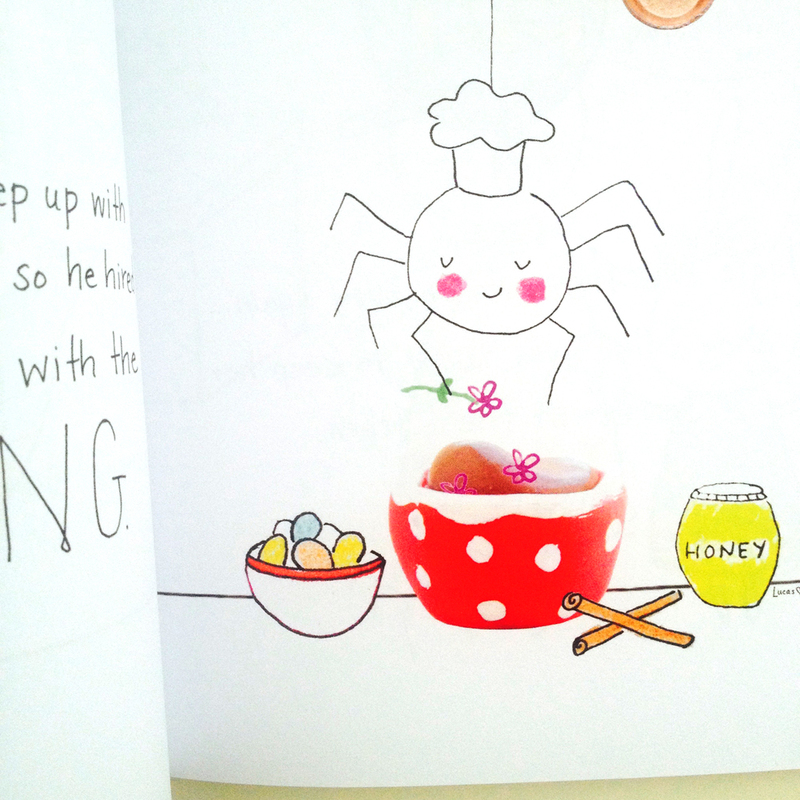 I believe a picture book isn’t just the book you see. It’s the hundreds of hours behind it. The joy, the tears and the reality that sometimes your passion might never truly pay off. It is pure dedication. 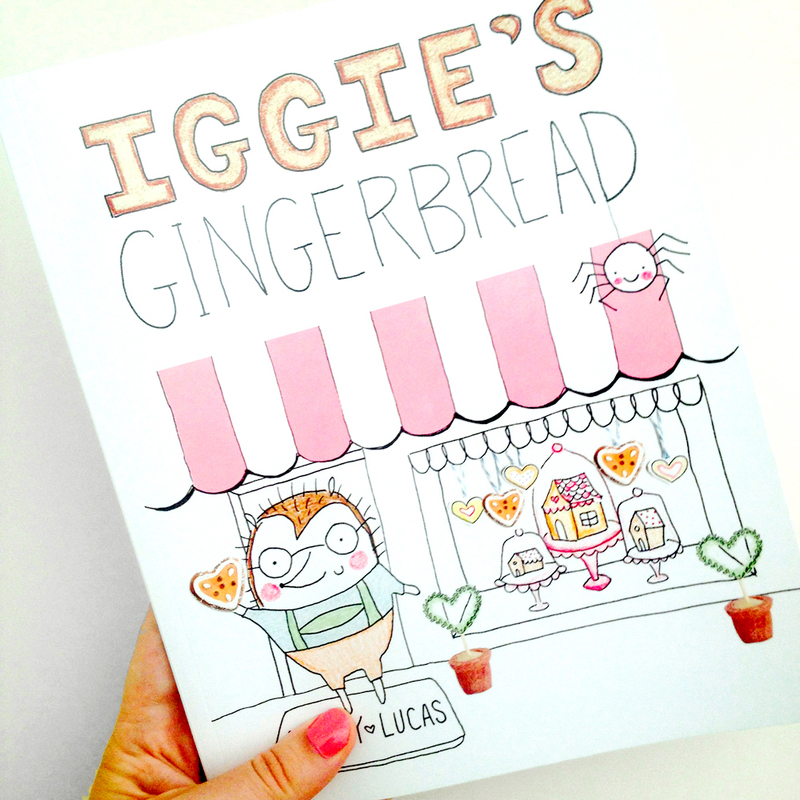 In August, I officially released Iggie’s Gingerbread on Amazon and am thrilled with the final product. I love how it looks, and am glad I pushed as hard as I did to make it. My goal is to sell 5,000 copies via a marketing plan that includes tons of social engagement and some short and sweet stop motion videos. The lesson I learned from all of this, is that following your passion is imperative to being happy as a creative individual. The right people will come along and support and guide you, if you are true to yourself. Don’t hold back! If there is a will, there certainly is a way. 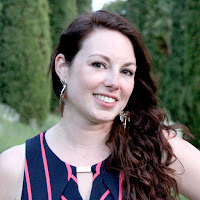 I would love to discuss any aspect of my journey with you, so please feel free to comment or reach me directly at www.ladylucas.com I truly love connecting with other SCBWI writers and illustrators! You can also find me on social media @LadyLucasArt and my new book can be found on Amazon via this link. Ashley Lucas (also known as her artist name Lady Lucas) was born and raised in rural Lancaster, PA. She is a graduate of NYU's Tisch School of the Arts and has been self employed with her own arts business since 2011. 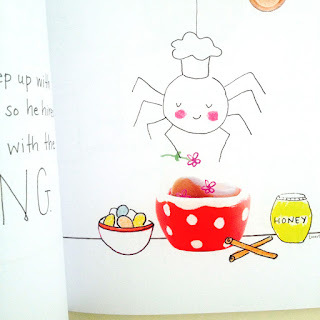 Ashley has authored and illustrated a number of whimsical hand drawn story and coloring books including Boo, Bat & Pumpkin Throw a Party and The Magical Garden Coloring Book. Her most recent picture book, Iggie's Gingerbread, is based on her adventures living abroad in Salzburg with her Austrian husband. Ashley is an avid lover of animals and nature and a proud vegetarian. She can be found online anytime via her website www.ladylucas.com. On the Friends of SCBWI Germany & Austria Facebook Page, we were talking about different forms of social media. Several of us extolled the charms of Twitter, and I suggested we give anyone who isn't familiar with it an overview. Twitter is a wonderful way to engage with peers, follow people you admire, and find loads of information. I've met at least one critique partner on Twitter, too. It's a type of social media that allows you to read and post short messages, no more than 140 characters. These messages are called tweets. follow anyone you like. They do not have to follow you back in order to see their tweets. Twitter is distracting, but it's also more than that! What can you find on Twitter? People write about everyone and everything, but for the purpose of this article, I'll focus on writing-related topics. The Main Feed—This is where you find tweets from people you follow. Notifications—When people write to or about you, they'll appear here. participants, but anyone can add their own questions and comments. Some topics I've recently seen were Religion and Faith in Kidlit discussions and 2016 debut author interviews. Pitch Contests—Write a 140 character teaser for your manuscript to entice agents or editors to request it. These events are announced ahead of time to allow you to prepare. Some examples are #pitmad, #dvpit, #sffpit. topic is announced, and you find a line in your WIP that relates to the topic. Examples of past topics have been "work" and "fire." Direct Messages (DM)—A DM is a hidden place to have a private conversation. Only you and the people in that conversation can see the tweets, which are allowed to be longer than 140 characters. What tools make Twitter easier? search via the hashtag to find a large pool of suggestions on querying. Lists—Twitter moves fast. It's easy to become overwhelmed or feel like you are missing a lot. You can group people you follow based on any criteria you like. I have lists for Writers, Resources, Agents, Publishers, Bloggers/Reviewers, and one I call "Look". If I don't have much time, "Look" is the only one I check, and it includes my closer friends, my CPs and my agent. What if I want more functionality? at a time you specify. going on in each area you follow. When you create your account, you'll be asked to select a few people to follow. For example, you could follow your favorite authors (and actors, bands, etc). In terms of writing though, these would be my recommendations. I'd love to see everyone else's recs in the comments! place on blogs. Possible prizes could be a critique or that an agent requests pages. your work using this hashtag. queries, agents will tweet what made them request pages. #writetip Just like it sounds, tips on writing. One caveat! Since people can say anything they want, do your research before following suggestions or making decisions. Not everyone who gives advice, not everyone who calls themselves a publisher/agent/editor is necessarily experienced or trustworthy. I hope this was enough to get you started. Hope to see you on Twitter, and feel free to add any questions you might have in the comments! Laura grew up in Michigan but dove into a whirlwind romance just after college, which meant moving to southern Germany without a job, but with a lot of love. She and her husband married a blink of an eye later, and they've now lived there happily for more years than seem possible. By day, Laura manages process and system projects, and she's a mother of two. 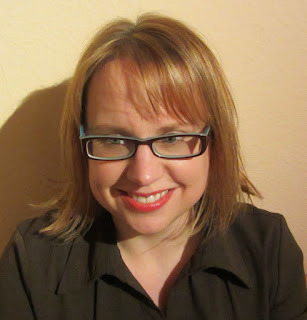 Nights and stolen daytime hours are devoted to living in her head: writing YA science fiction and fantasy novels. Laura is a member of the Society of Children's Book Writers & Illustrators, and her work is represented by Zoe Sandler of ICM Partners.